CTE develops over many years, sometimes long after repeated mild traumatic brain injury occurred. When symptoms do start to appear they can gradually evolve or they may come on quickly. Everyone is different. And even if you have CTE symptoms it does not mean you have CTE. Please seek a trained medical professional to help you. And never lose hope. We know some folks that have figured out how to live a decent life. It isn’t what they first dreamed about when they stepped on the football field seeking fame and glory. But it is okay. Many players find purpose in saving others from CTE and sharing their stories. Researchers are working hard on finding a cure. Stay strong. Suicidal thoughts. People with CTE may be at increased risk of suicide. This can be a function of brain injury. If you have thoughts of hurting yourself, call 911, your local emergency number or the National Suicide Prevention Lifeline at 800-273-TALK (800-273-8255). Your life matters. We know for a fact Patrick wishes he was still here. Don’t let your brain spiral out of control. Head injury. See your doctor if you have had a head injury, even if you didn’t need emergency care. If your child has received a head injury that concerns you, call your child’s doctor immediately. Depending on the signs and symptoms, your doctor may recommend seeking immediate medical care. The NFL also has a resource if you are in a crisis situation, The NFL Life Line. Though this service was created for NFL players and their families you are not required to give personal information and they may be more tuned in to sports/football head injury and problems. The Academy of Certified Brain Injury Specialists (ACBIS) offers a voluntary national certification program for both direct care staff and professionals working in brain injury services. 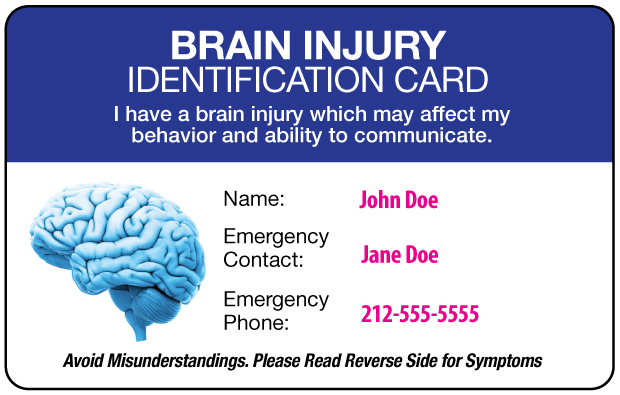 ACBIS provides the opportunity to learn important information about brain injury, to demonstrate learning in a written examination, and to earn a nationally recognized credential.